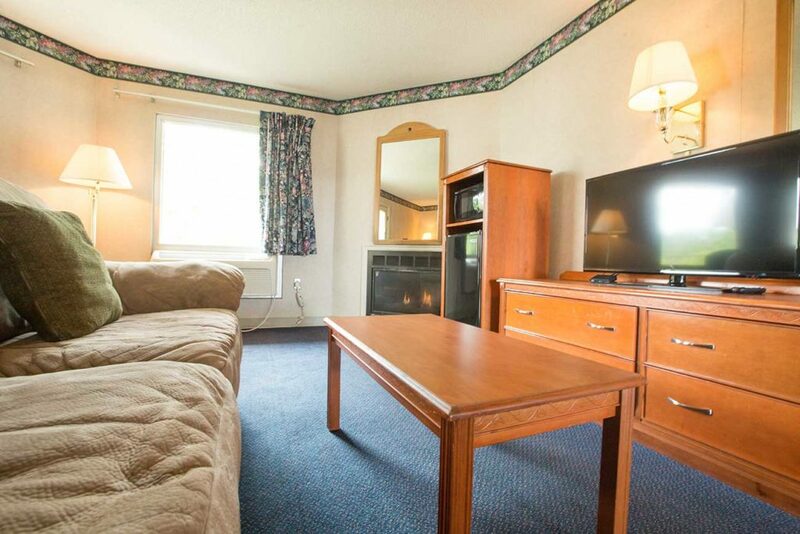 Our Room with a King Bed and Sofa Bed can sleep up to 4 guests comfortably. 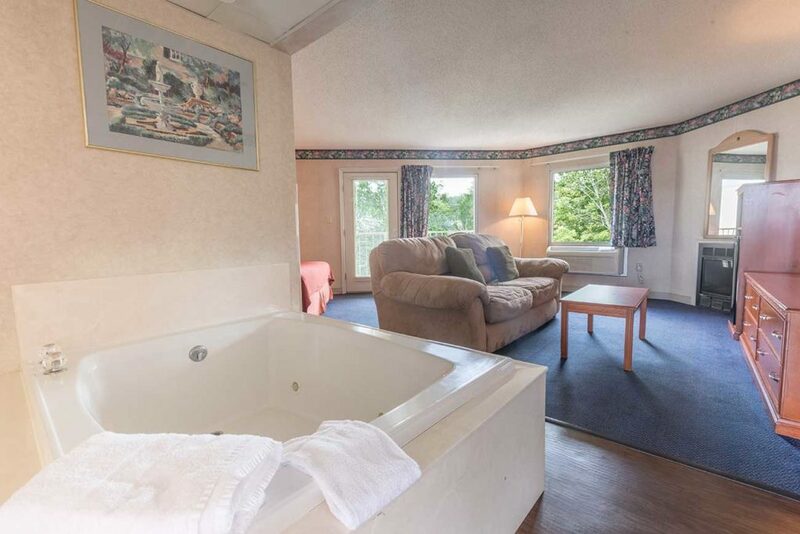 This room has a private balcony overlooking the Pigeon River, a fireplace, jetted tub and sofa bed. The room also features a double vanity, so guests can get ready without having to wait on one another. It’s great for small families, friends or even a couple who wants a little extra space during their vacation. Give us a call or book your reservation online today.